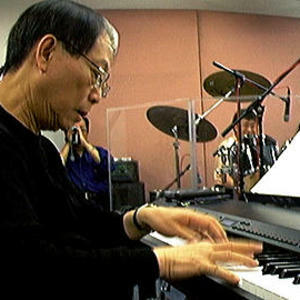 Joseph Koo (Chinese name: Koo Ka-Fai) is a composer who has been active in the Hong Kong movie industry since the mid-1960's. He is best known for his scores for the first two "A Better Tomorrow" films. He won a Golden Horse Award (Taiwan's version of the Oscars) for his work on 1965's "The Dancing Millionairess", and was nominated for a Hong Kong Film Award in 1992 for "King of Beggars". Koo has also acted in and produced a few films over the years. He won a Golden Horse Award (Taiwan's version of the Oscars) for his work on 1965's "The Dancing Millionairess", and was nominated for a Hong Kong Film Award in 1992 for "King of Beggars". Koo has also acted in and produced a few films over the years.